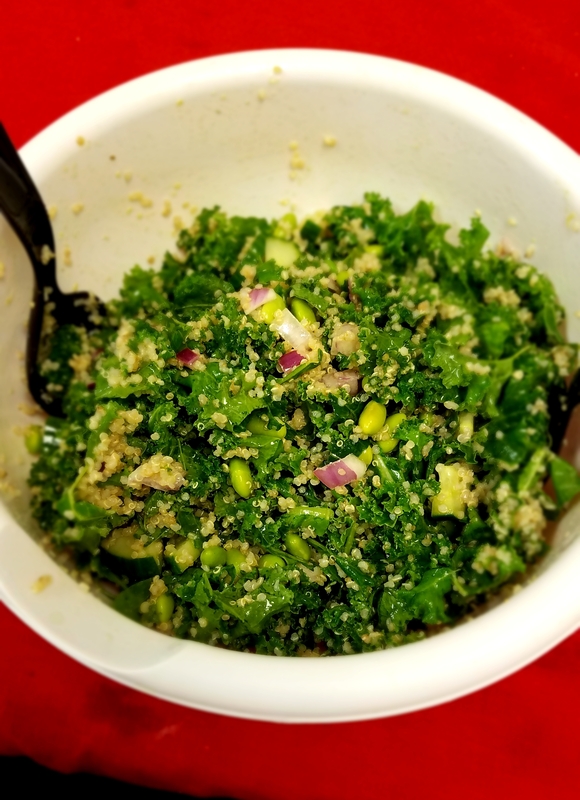 I have wanted to make this yummy salad for the past couple months after recently eating a delicious version at a local restaurant. So, I finally did, and it turned out great! What I love about this salad is that is tastes great and can provide a wonderful balance of nutrients. When the highest quality ingredients are chosen, beware of a mouth explosion that you will want to repeat. Cook quinoa and set aside to cool. Remove the leaves from the kale stalk. Rinse and pat dry. Dice the onions and cucumber and add to kale. Add quinoa to mixture. Combine oil, mustard, lemon juice and salt and pepper in a bowl. Mix well. Stir in dressing with kale/quinoa mixture. 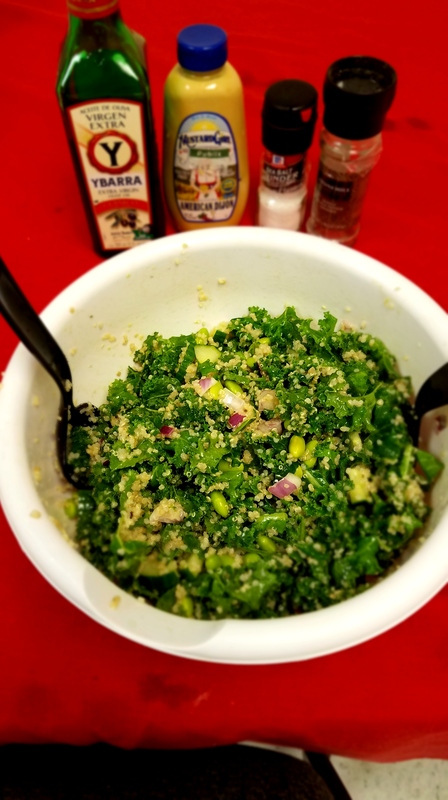 Make more dressing if you desire (I actually made mine with more dressing) I love quinoa so I added more than two cups and more than a bunch of kale. I add avocodo when it’s time to eat the salad so the avocado is fresh. You can get creative with this salad by adding a variety of ingredients. Examples include grilled shrimp, feta cheese, pine nuts or walnuts. The options abound.